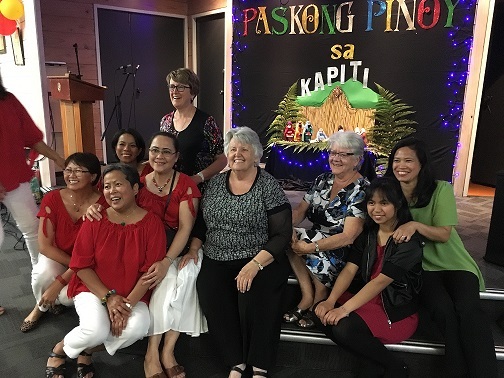 Filipino Christmas @ Kapiti – a Christmas dinner fundraiser put on by Barangay Santa Maria Assumpta for the Our Lady of Kapiti Parish Church Building Fund. Here is a wonderful photo of the group and our sisters showing what a great night it was. Look at their faces!